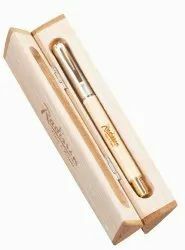 Wooden Ball Pen (GD-100242) is best for corporate gifting, diwali gifts, employee gifts, conference gifts, marketing gifts, promotional gift, business gifts. Wooden Pens are being produced to meet the diverse industrial requirements. It can be availed from us in all shapes, unique designs and classy finishings. Wooden pens manufactured by us are a blend of traditional yet contemporary craft forms. We customize the products as per the mentioned requirements of our various industrial clients. 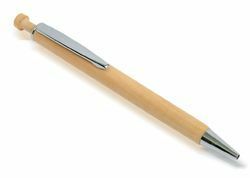 Keeping the diverse requirements of customers in mind, we are instrumental in providing Wooden Ball Pen.